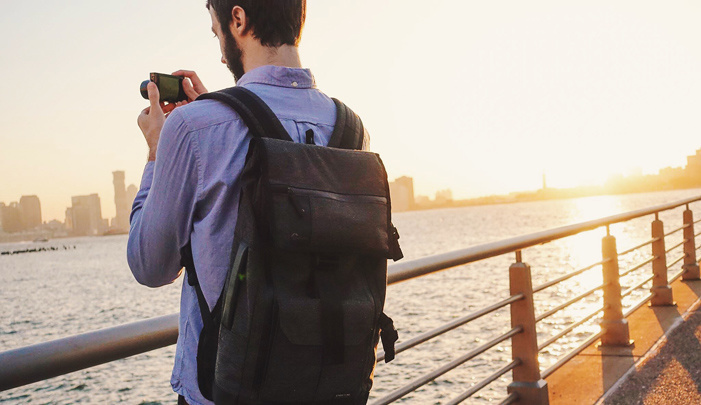 Best suited for the those that run light on camera gear, the Lowepro StreetLine BP 250 is a great looking pack that has just enough features to be called a camera bag at all. Its unique collapsable interior pockets allow for a couple photography items to be stored securely, otherwise it’s free-for-all with what you choose to throw inside. This well-made bag is not without issue, however. Check out what works and what doesn’t in this review. The StreetLine BP 250 sounds like a fairly simple bag in utilization, but there’s a fair amount of little things that make it stand out. 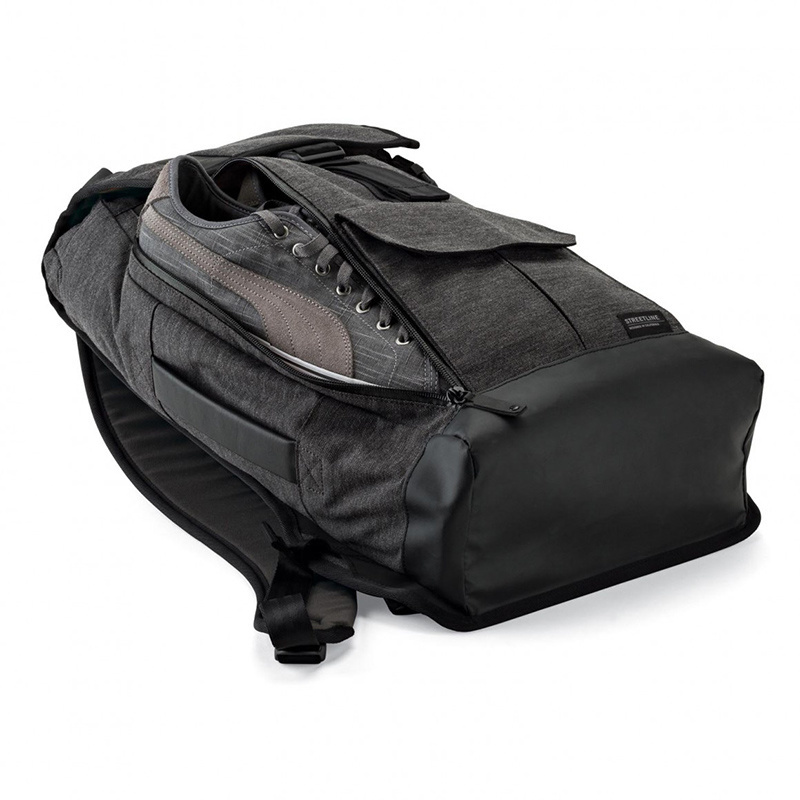 The exterior is made of spun polyester and comes in a charcoal gray color and features a large cover flap design. There is a secondary quick-entry via weather-treated zipper on the front of the bag that gets you directly to your camera while slinging the bag around one shoulder. This came in handy for the adventures where I didn’t need a camera to be out and at the ready the entire time. Instead, with little added effort, I could take out my camera from the quick access and snap something before putting it back. The second vertical zipper opens into a large pocket separate from the interior bag. Also on the exterior you’ll find a large, Velcro-expandable pocket near the bottom as well as a smaller pocket located on the cover flap. 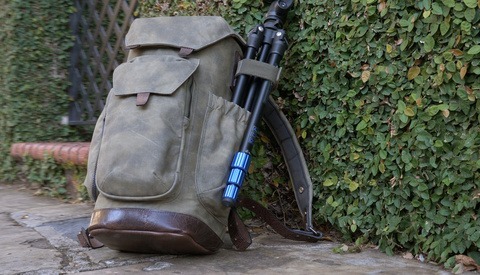 The right side of the backpack has two non-removable quick release straps and a bottom cup for securing a travel tripod, or the cup pocket can be used for a water bottle as well. The left side has a carrying handle which I never actually felt comfortable using for fear the top flap wouldn’t keep my contents inside when tipped horizontally. 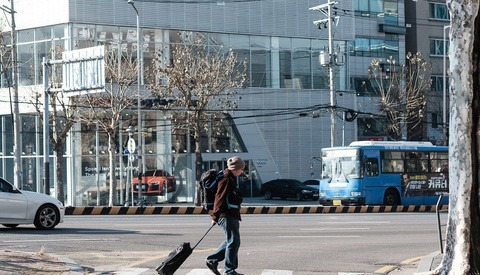 There’s also another carrying handle on the back top which has the unfortunate side effect of feeling it on your upper back as you wear the bag. This contact is even more accentuated if you are packing a laptop. In addition there’s also a simple quick-release waist strap tucked in at the bottom. The interior is lined with bronze colored fabric and features separate storage spaces for both a laptop and tablet with a padded divider between. There’s another inside zippered pocket on the front wall for even more storage of miscellaneous items. 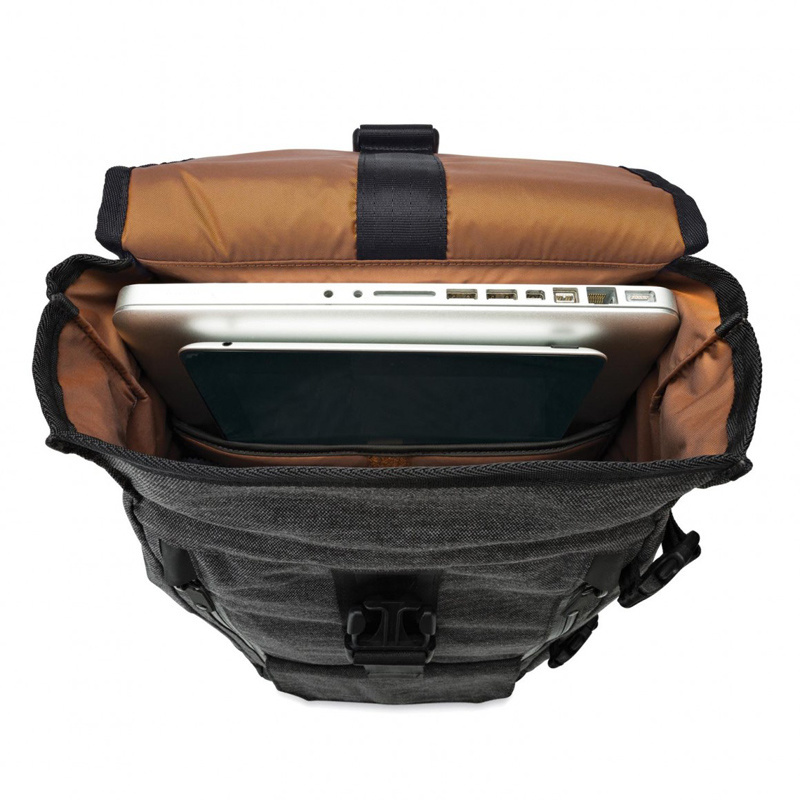 The fully removable and collapsable FlexPockets can pop out to carry gear or flatten to leave room for other items. There are two compartments that make up the FlexPockets, and you can choose to expand one or both of them to hold a DSLR with standard lens attached, plus an extra lens or flash in the second one. The FlexPockets affix to sturdy bars on the inside of the bag, and there are two height positions to hang from. 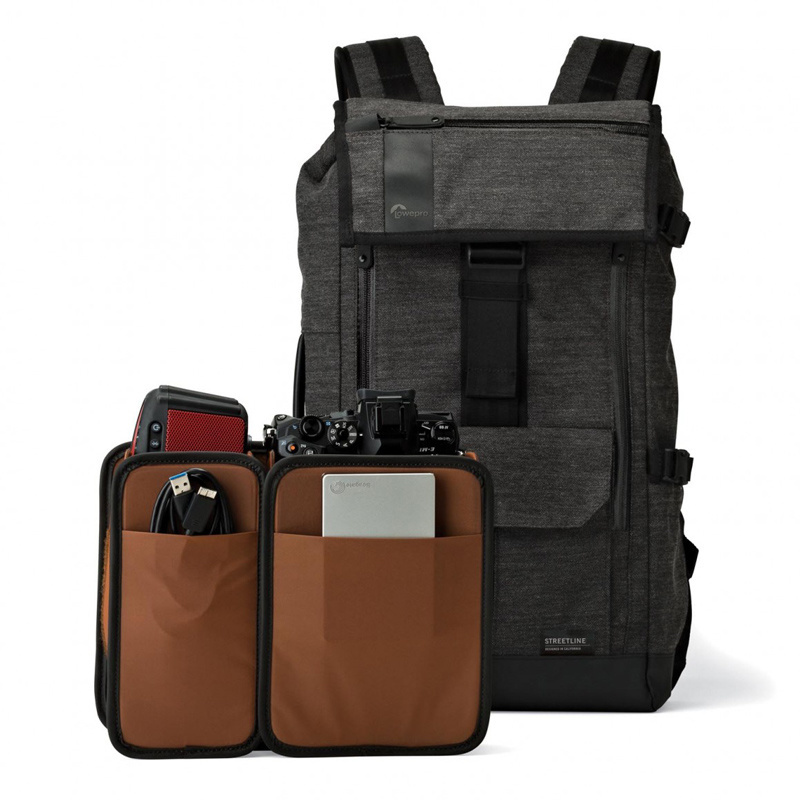 Each position has a drawback though, either with being hard to access the bottom portion of the bag plus more difficulty using the side quick access if you use the top bar, or having to place your bag contents of top of your exposed camera gear if you use the bottom bar. A good looking bag. Unprompted, a non-photographer friend remarked it looked expensive when I was seen wearing it. The charcoal gray exterior and copper interior has a unique look. Leather used on the carry handles and on the bottom of the bag adds durability. Tucked away waist belt for when needed. Depending how “on-the-go” you are, it helps stablilize the bag if you’re skating or biking around. At least moderately waterproof, as in a near boating accident the bag became partially submerged momentarily with my camera gear inside. Luckily only the outside seemed to be waterlogged but the gear was dry. That experience might be comparable to a decent rainfall, which is good to know since the bag has no included rain poncho. Quick access zippers are always a welcomed addition for camera bags. The materials used, such as the exterior polyester, weather-treated zippers, flap buckle, and its construction are solid. With laptop, really feel the rear carry handle digging into upper back. 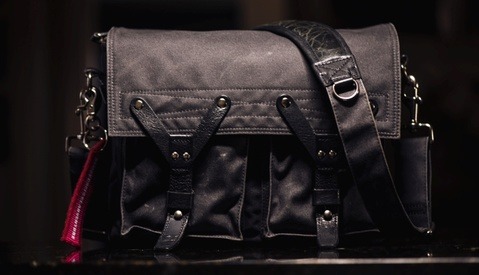 Carrying camera gear feels a bit secondary with this bag. Neither of the two positions are perfect for accessing gear if anything else is in the main compartment. Uncomfortable to wear after about a half hour, even with what I thought was a light load. Something about the load positioning and straps and back carry handle just doesn’t add up to lasting comfort. No back breathability. Multiple times it caused me to sweat through my shirt. Not a great look when you remove your bag and someone makes a comment on your crazy back sweat (yes, that happened). No sternum strap. For me these straps make all the difference in comfort, and all backpacks that you put camera gear or laptops in should have them. 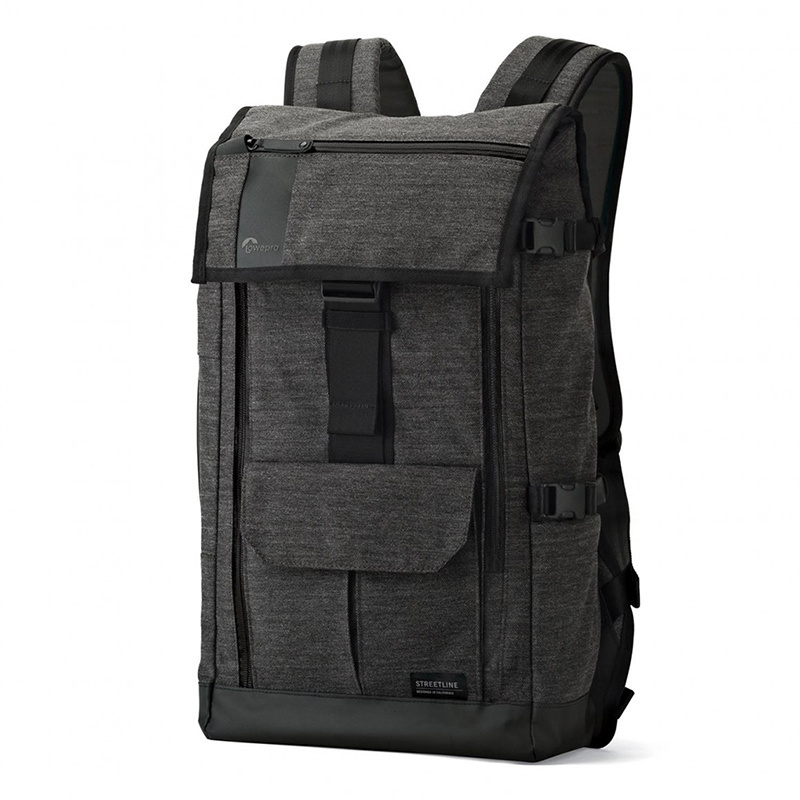 The Lowepro StreetLine BP 250 camera backpack is available now for $199.95. I was really surprised to see that price when I got to the bottom of this review. 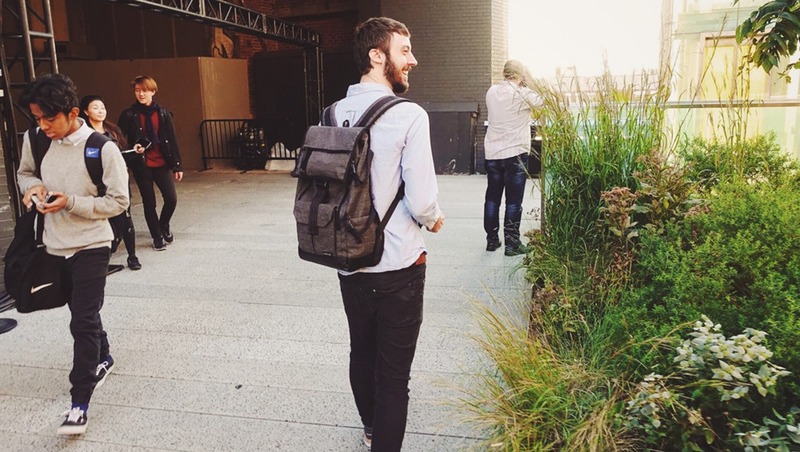 The backpack looks like it is something to be endured. 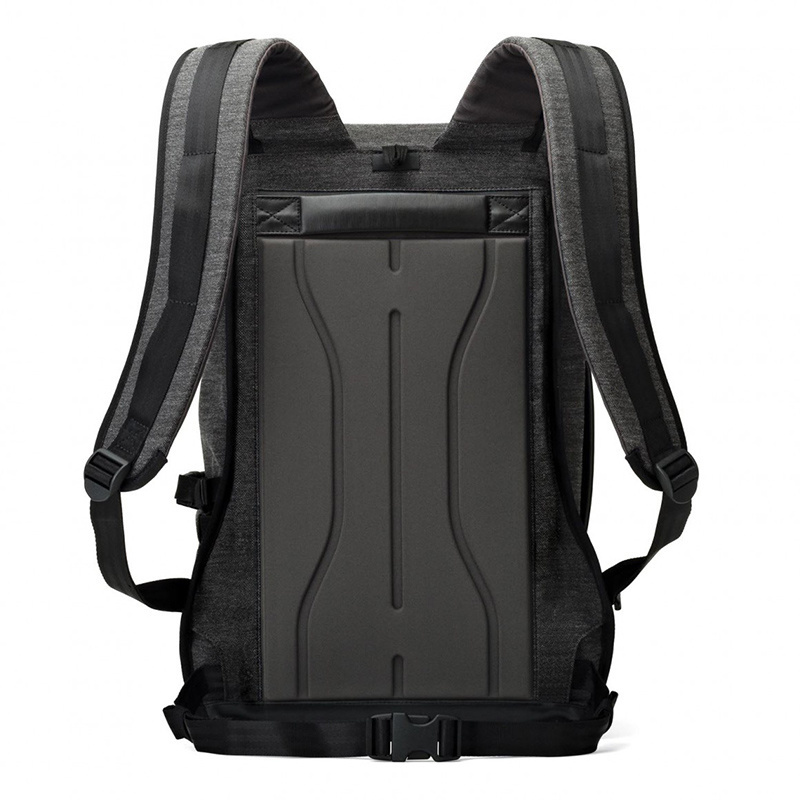 There is no question in my opinion, the best bag on the market is the Peak Design Everyday Backpack (https://www.peakdesign.com/product/bags/everyday-backpack/) it is an unbelievable bag with incredible attention to detail. A bit higher priced than this one, but worth it any day. I was looking to get this bag. The solid shape and the look for me was the sell. But, now with the sweaty back effect I'll have to think twice. The Peak Design Bag looks good too, but Think Tank and Lowepro has just always made stuff right, so it's a hard decision to make. ... anyone know what sneakers are used in that promo photo? I want them.